Science is not my favorite subject. It wasn’t when I was in school, nor is it as a homeschool mom. I enjoy teaching science more than I do math, but it isn’t a class I get overly excited about. Throughout our homeschooling journey there are several things that I’ve learned about myself and my children. One of the most important is that we are all hands-on and visual learners. We learn best by actually being shown how to do something and then doing it ourselves. It is because of this that it was essential that I learn that you don’t have to use textbooks to homeschool. While textbooks tend to make my life as a homeschool mom easier, my children do not learn well reading a chapter and answering questions. They need to experience what I’m teaching by seeing and doing in order for them to learn best. 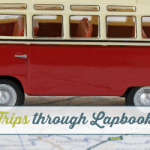 This year hasn’t been our best homeschooling year for many different reasons. My children have learned important life lessons, while I dealt with heartbreak earlier this year. So, while we haven’t had a stellar homeschooling year as far as educational “lessons” go, I have grown and my kids have learned so much more about life than could ever be found inside of a textbook. 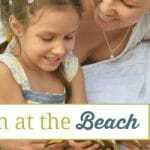 Normally, our summer homeschooling schedule is relaxed, but because of the strain on our homeschooling this year we’ll be spending more time with scheduled learning than usual. One of the subjects we haven’t tackled much this year is science. So, when I started thinking about how to cover science over the summer I remembered a couple of years ago my son thought that he would love learning about chemistry and physics. So, we bought a textbook based curriculum that also included tons of science experiments. He didn’t make it past the first few lessons because of the textbook part of the curriculum. We ended up shelving that entire science curriculum…until now. While the entire chemistry and physics science curriculum didn’t work for us. My children LOVE science experiments. When I purchased this science curriculum, I also purchased an entire kit of supplies that included almost every single item needed for ALL of the science experiments inside the textbook. My hands-on, visual learners are LOVING science class so far this summer! We’ve pulled the textbook back out and they get to choose which science experiment they want to do! Whether they realize it or not, they’re actually learning about chemistry and physics without having to read about it. After they’ve completed their science experiment, we talk about what happened and they tell me why they believe it happened. The conversation just flows naturally because they’ve experienced learning! When my mom was homeschooling my brothers and I, we did a lot of science experiments too. We didn’t use a fancy curriculum or have a kit, instead we used the Backyard Scientist book series. The experiments inside were completed using household items that most of us have lying around the house. This made science class easier for my mom, but still lots of fun for us! This is by far my favorite way to learn about science! We love to head outdoors and explore the world we live in, which is filled with science! While we hike we talk about how trees provide the oxygen we need to live, discover new plants that we can sketch and research when we get home, see new wildlife and do an animal study later on. 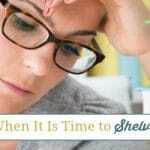 All too often I believe that homeschool moms forget that learning isn’t just completed inside the four walls of their home or with paper and pen. Nature studies are an amazing way to encourage your children to learn to love science, to care about the earth and all things in it and experience learning outside! If you aren’t sure how to complete a nature study, start here. Before you head out make sure that both you and your children know the proper nature study etiquette. Since summer is here, a beach themed nature study is a great way to get started! Several years ago my parents, my children and I took a vacation to Amish country, in Lancaster, PA. It is a vacation my children still talk about to this day. They loved everything we did while we were there. While we were in Pennsylvania, we took them to the Lancaster Science Factory. It was SO much fun! Learning about science there was fun and hands-on, perfect for visual learners! Living in the north woods of Maine, there aren’t a lot of science themed field trips for us to travel to see and experience. However, we’ve found that virtual field trips are a lot of fun and they still provide the visual aspect that my kids need! Ready to try out a virtual field trip? Pull up a chair and take a trip to the Museum of Science in Boston, explore the Smithsonian’s National Museum of Natural History or visit the land down under and discover science in the Melbourne Museum. Growing up one of my favorite things to do when I visited my grandparents was watch the Moody science videos they had in their home. I loved learning about whales, bees, the venus flytrap and more, just by watching the videos they had available to us. Now, my children and I enjoy watching them together, typically during the lunch break hour. We’ve also discovered that Netflix and Amazon Video have some great resources for science class. However, you do have to be aware that topics such as evolution and old earth/new earth may come up anytime you use secular science resources. Often I feel like we don’t cover much science in our homeschool, but when I sit down and consider all of these activities that we do regularly, I’m reminded that you can homeschool science without a textbook. If you have children who are hands-on, visual learners like mine, don’t be afraid to try experiencing science outside of a textbook and/or lesson plan. Find ways to bring science to life for your children. Start by finding out what science studies interest them. Chemistry, earth science, anatomy and marine biology are all a part of science, but each one is significantly different than the next. Not all children will want to learn about the human body in detail, while another will lack interest in marine biology but chemistry excites them! Follow your child’s lead and let them tell you what they want to learn about in science class, then add hands-on, visual activities that bring science to life! 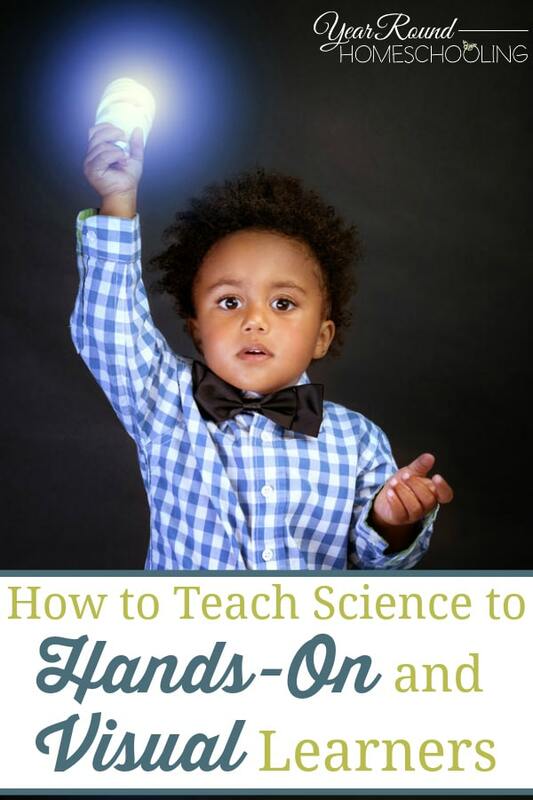 How do you teach science to your hands-on, visual learners? 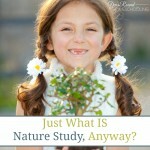 Just What IS Nature Study, Anyway? I am so glad for this blog post! I’m a first time homeschooler and I’ve been looking for ways to teach science beyond textbooks. Thank you so much for these wonderful ideas.